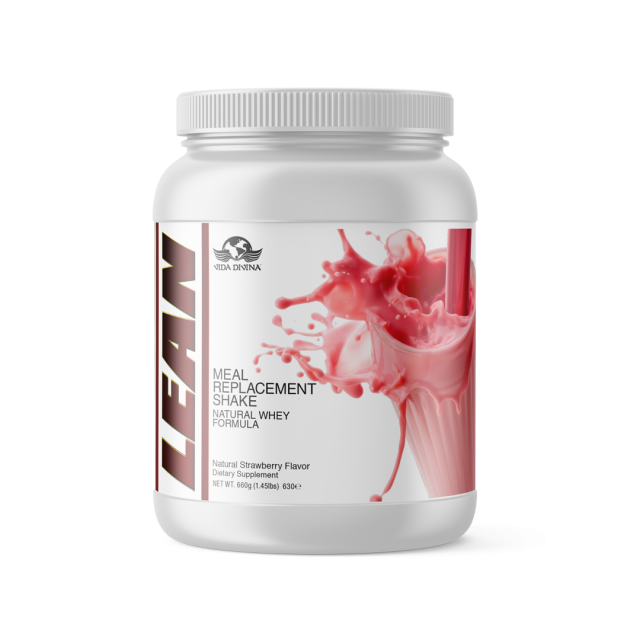 A delicious meal replacement shake designed to support a healthy lifestyle. Whether you want to lose weight or build lean muscle, Lean provides optimal nutritional support for your every day needs. Mix Lean with 8-10 fl. oz. of the drink of your choice. Replace one meal per day with Lean for healthy weight control. Store in a cool dry place. Store in ambient temperatures. Protein Blend (Whey Protein Concentrate, Pea Protein Concentrate, Almond Protein), Rice Bran, Medium Chain Triglycerides, Chia Seed Powder, Agave Inulin, Matcha Green Tea (Leaf) Powder, Calcium Phosphate, Magnesium Oxide, Natural and Artificial Vanilla Flavor, Anti-Oxidant Blue Blend (Blueberries, Purple Grapes, Blackberries), Anti-Inflammatory Red Blend (Beets, Pomegranates, Red Grapes), Detox Green's Blend (Broccoli, Green Apples, Spinach), Immune Boosting Yellow and White Blend (Carrots, Bananas, Mangos), 5-HTP, Sucralose, Stevia Extract, Xanthan Gum, Protein Digest Blend (Protease and Peptidase), Calcium Ascorbate, dl-alpha tocopheryl acetate, Retinyl Palmitate, Cholecalciferol, Menaquinon MK7, Thiamine HCl, Riboflavin, Niacin, d-Calcium Pantothenate, Pyridoxine HCl, Folic Acid, Cyanocobalamin, Ferrous Fumarate, Potassium Iodide, Zinc Oxide, Selenium Chelate, Copper Chelate, Manganese Sulfate, Chromium Chelate, Molybdenum Chelate, Probiotic Blend (Lactobacillus Acidophillus, Lactobacillus Planatarum, Bifidobacterium Bifidus), Collagen, Ganoderma lucidum.